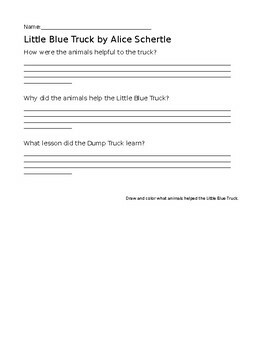 Have your students talk about how and why the animals were helpful to the Little Blue Truck. Students can discuss what lesson the Dump Truck learned at the end of the story. Students may draw and color what animals helped the truck at the bottom for a fun coloring activity.